Nuclear-Capable Ballistic Missile Agni IV Test-Fired Successfully! 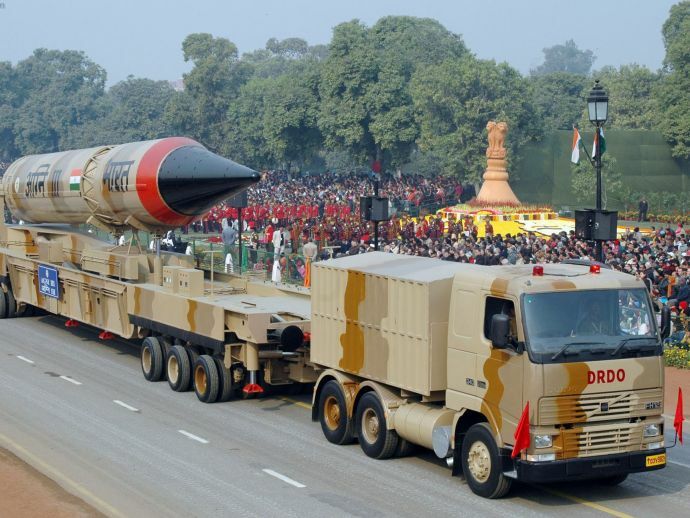 Agni IV and V were designed with China in mind, in contrast to previous iterations aimed at countering Pakistan. Once again DRDO made India proud when it successfully test fired the Agni IV nuclear capable ballistic missile that has a range of up to 4,000 km. The test comes within a week of the successful test firing of India’s most lethal Agni V missile, an intercontinental ballistic missile, which can hit northern parts of China and most of Europe. Agni IV is a long-range missile that is propelled by composite rocket motor technology. The missile is reportedly equipped with state-of-the-art avionics V-12 fifth generation On-Board Computer. The missile has two stages of solid propulsion. The payload, with a re-entry heat shield can withstand temperature of more than 3000 degree Celsius. We are well armed and ready!